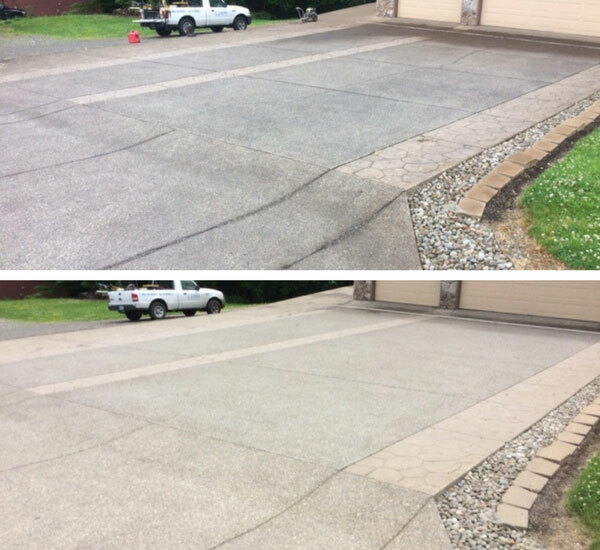 Considering pressure washing in Salem Oregon? Not only do moss and mildew look bad, but they can also create issues with the integrity of your property and cause health problems for the people and pets in your home. But these microbes don’t go down easily. 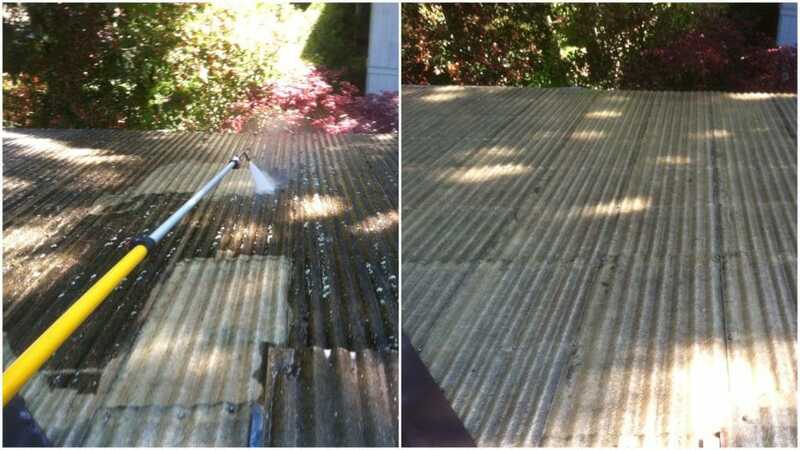 That’s why you should call Referred Roof Cleaning & Exteriors for Pressure washing in Salem OR. When we come to your property, we’ll clean up your place and bring it back to pristine condition, getting rid of mold and mildew–guaranteed! We have the capability to pressure wash difficult to reach areas, exterior siding on small or large buildings, any concrete surface, decks, fences, and retainer walls. We strive to use the most updated and innovative equipment possible to insure the job is done efficiently, and at a market fair price. 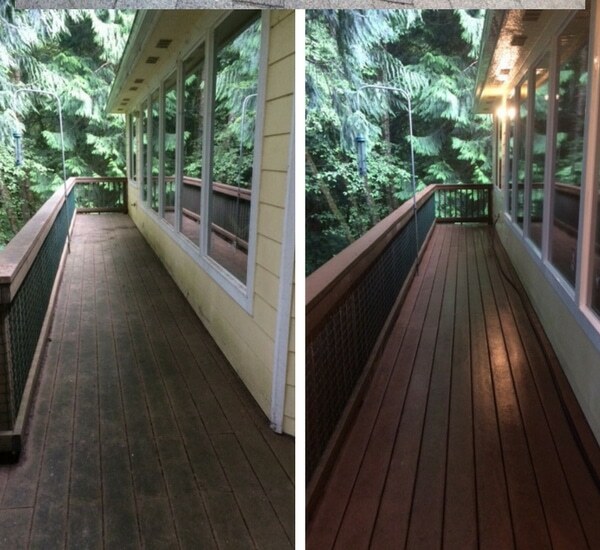 We can clean clean just about any surface, no matter how dirty, algae ridden, or mossy it might be. We thank Jaffet and his partner for an excellent job and the reasonable price. We recommend them to anybody, who needs their services, because we're going to keep doing business with them for years to come!!! Jaffet is very professional. He went around the house and we decided what should be done. He has a lot of experience preparing a house to go on the market and was able to give me ideas of what should be done to increase "curb appeal" When I saw the work they had done I was amazed. Couldn't believe how great everything looked. They told me they'd come back and work on anything that they had missed. They hadn't. The work was excellent and at very reasonable price. I highly recommend them. James came on time and did a great job cleaning the roof and gutters and installing "gutter stuffers." Also repaired some flashing. Good communication, very professional. Expectations were met! Direct communication with the owner was very reassuring! Prompt replies and they showed up! Roof looks great, and the price was very reasonable. Jaffet was professional, organized, personable and reliable. He (and James) power washed our concrete tile roof and installed new gutter protection. The roof looks GREAT!!! The price was reasonable. We plan to have him provide roof maintenance as long as we own the home. This by far is the BEST roofing company we have had in the last 12 years. Jaffet and James are professional roofers who show up on time, know exactly what they are doing, trustworthy, explain everything in detail, PRICE was perfect, and our roof looks the best it has ever been. Professional, thorough, reasonably priced. Highly recommend. Our roof, almost 20 years old, has never been cleaner. Jaffet carefully cleaned each shingle as if it were fine china. He sequenced each task wisely and in the right order. And he thoroughly tidied up after he was done. Please give us their name, so we can reward them with a 10% bonus toward a future project. By doing these 3 things, I believe the majority of my clients will refer us to friends and family, further growing the business and ensuring its success for the future.